You probably don’t think too much about your spinal discs, unless your body starts to hurt. The spine is a wonderful thing. It is our body’s primary support system. It keeps us upright and keeps everything together. Even though the spine is made up of bones, the ligaments and spinal disks make it flexible. The lower 5 vertebrae are the lumbar spine, commonly known as the lower back. The lumbar spinal disc absorbs shock between the vertebrae, which allows you to move easily. As you age, however, your spine ages along with you. A degenerated disc is an aging disc which is becoming dry or cracked. Lumbar degenerative disc disease is a condition that often affects both men and women as they age. Degenerative disc disease can lead to pain and possibly weakness or numbness. People with degenerative disc disease frequently have persistent lower back or neck pain along with occasional episodes of acute pain, which can last anywhere from a few days to a few months. Common symptoms often include intermittent lower back pain, which can radiate to hips and legs, or lower back pain that is continuous and can last more than 6 weeks. This may feel like a painful ache in the lower back, rather than a burning pain. The pain is often worse when walking, because this places a heavier load on the discs. However, standing for long periods of time may also aggravate the pain. Most often people find relief with sitting. Certain movements, such as bending, twisting and lifting can trigger the pain. Some people experience tingling or numbness in the legs and difficulty walking. Naturally you want to reduce the risk of lumbar degenerative disc disease. There are a number of ways to do that. Start by establishing a regular exercise routine. You may wish to consult a professional, such as a physical therapist, to help you plan your exercise program. Easy activities such as stretching, walking, or yoga can avoid unnecessary back or neck strain. Good posture is another simple way to help keep your spine healthy. Make it a habit to keep your back erect, to sleep on your side and always lift heavy objects correctly, bearing the weight with your legs instead of your back. Other factors, such as maintaining healthy weight and avoiding smoking help lower your risk. If you are experiencing symptoms, consult your doctor or physical therapist early. Diagnosing lumbar degenerative disc disease begins with the patient’s history. They will want to know when the pain started, as well as a description of your symptoms and positions or activities that affect the pain. Next, your they will examine you, focusing on your lower back and legs and checking your range of motion and muscle strength. Your doctor may also order an MRI scan but in most cases, you do not need this right away. If you do have degenerative disc disease, it can usually be treated without surgery. If a patient does not have relief after a period of treatment, pain shots or as a last resort, surgery may then be considered. Your doctor may also prescribe medication to control pain and inflammation. In most cases, all you need is a hands-on physical therapist. He will help you begin a program of physical therapy and exercise in order to relieve pain and increase movement. The goal is to help you continue to meet your personal goals as well as participate in your daily activities and routines. Exercise and physical therapy are vitally important to managing lumbar degenerative disc disease. These measures can maintain or reestablish the strength and range of motion in the spine. Treatment programs usually consist of specialized “manual” hands on treatment wherein your physical therapist skillfully uses his hands to alleviate joint and muscle pain and stiffness. He will also prescribe a variety of exercises. These may include lumbar stabilization exercises to help strengthen the back. Strengthening the muscles of your arms, legs and trunk can also support your spine and reduce some of its workload. Exercises which gently stretch and improve mobility in your joints and spinal muscles often relieve pain and help you move more comfortably. Hamstring stretches are important because tight hamstring muscles can increase the pain and stress of lumbar degenerative disc disease. Aerobic exercise has many benefits, including improved strength and mobility, maintaining a healthy body weight, sustaining a good flow of nutrients to the spine and relieving pain. Low-impact aerobics, such as swimming, biking or walking, provide all these benefits in an easy, pleasant way. Your physical therapist will create a program suited to your individual needs. These might include manual therapy for stiff joints and muscles, making small changes in the way you stand, sit, lift and bend both at work and at home, and special pain treatments, such as ice, for severe pain. Working with a physical therapist also ensures that you can perform exercises that involve strengthening and flexibility without hurting yourself. 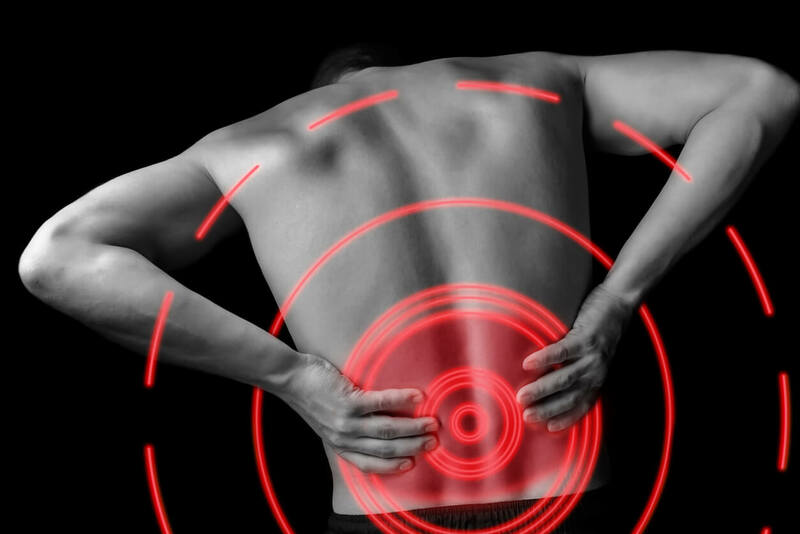 Statistics show that more than 65 million Americans suffer from lower back pain annually and, according to the American Academy of Orthopaedic Surgeons, 60-80% of us will experience lower back pain at some point. While lumbar degenerative disc disease is often a natural result of getting older, you do not have to suffer because of it. The treatment program created for you may involve more exercise than you are used to, but keeping active and healthy will reduce the impact of the condition on your life. Take advantage of the educational materials provided by your doctor and your physical therapist. You may also wish to attend informational seminars on living with lumbar degenerative disease. Whether or not you have not been diagnosed with the condition, start now to take care of your spine and your overall health. You’ll never regret it. If you want more information, you may attend one of our upcoming Lower Back Pain and Sciatica Workshop near you. During the workshop, we discuss the Top 3 Most Common Causes of Back Pain and Sciatica, and how you can naturally heal without medications, injections, or surgery. Click here for the Valparaiso Lower Back Pain and Sciatica Workshop.